Ravenous are set to re- release their death metal thrash album ‘We Are Become Death’ via Coffee Jingle Records on Friday 27th November. With heavy pulverising riffs that form the backbone to the tracks, the dark and brooding vocals power their way through the album, whilst a heavy rhythm pounds out a primal beat to make this an intense and commanding album. With touches of melody to add a contrast to the heaviness of the distorted guitars, ‘We Are Become Death’ is a must have for fans of the thrash metal genre. 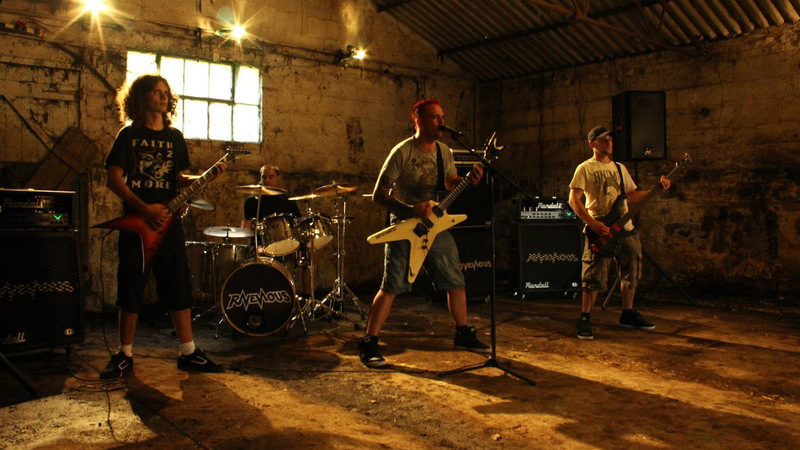 Ravenous was formed in Southampton in early 2008 when (bassist) Leon Maidment Millar joined an old school friend (lead guitar/vocals) Dave Game and band mates (drummer) Rich Giles,(rhythm) Dave Foster in performing covers of the Thrash/Groove metal genre with only one original song named Ravenous! After much indecision it was decided that Ravenous would be the most fitting name for the new direction of the band and the craving need to break the fashionable trends in metal and return to its rawer roots with more lyrical structure and ‘lyrical’ lyrics. The entire album is also available to stream in full via their Youtube channel.